Men in the west of Scotland are being given access to world-leading robotic technology in the fight against prostate cancer where 1 in 10 Scottish men are likely to develop the disease. 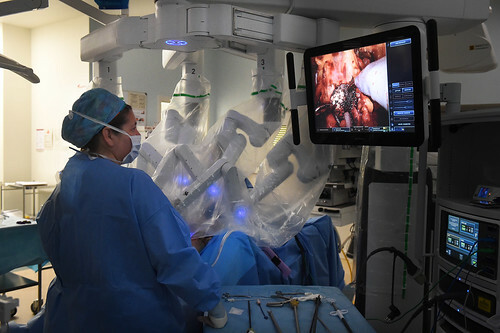 Now, as the result of a partnership between West of Scotland Health Boards, the ‎Scottish Government and Prostate Scotland, we are able to offer radical prostatectomys using robotics. Around 300 men each year will benefit from this new technology. 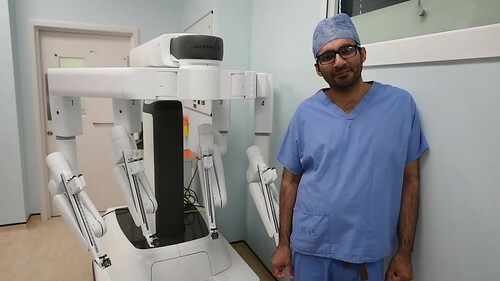 Consultant Urologist Mr Hasan Qazi said: “Until recently, men with prostate cancer had few surgery choices, which predominantly involved an open prostatectomy, involving large incisions, higher blood loss, slower return to continence and in general, a longer period of convalescence.